Rent Tir Na Nog Bar & Grill | Corporate Events | Wedding Locations, Event Spaces and Party Venues. Tír na nÓg is located in the Phoenix Building at 16th and Arch Street, right next to Suburban Train Station. Tír na nÓg , winner of “The Best Guinness Pint” and voted “Best After Work Bar” by City Search, offers fantastic service with a bit of Irish Heritage. The idea was to provide a unique Irish experience incorporating the warmth of an Irish pub with New American cuisine and all the while creating a sense of charm and hospitality. 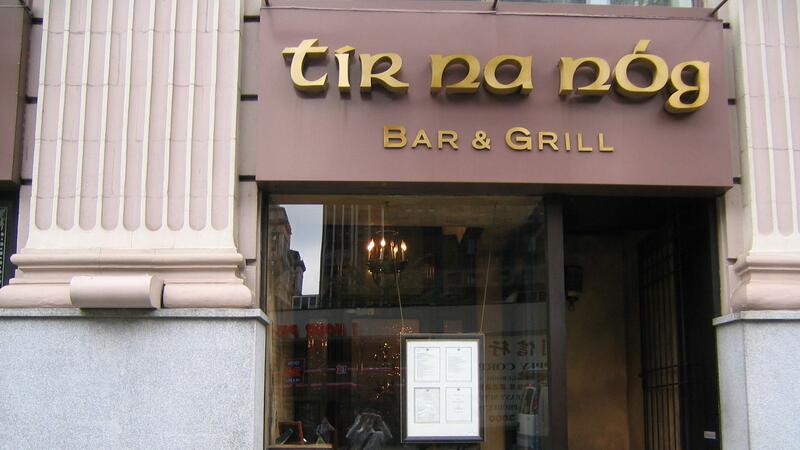 The idea became a reality 12 ago when the trio opened Tír na nÓg Irish Bar and Grill in the heart of Midtown Manhattan. Then seven years ago came the sibling bar, Tír na nÓg in Philly, centered around much of the same characteristics as New York, but here in center city Philly. Our Irish bar—right in the heart of center city Philadelphia at 1600 & Arch—is also a great, spacious venue for corporate events. Let us help you ease the stress of party and event planning. We have various, flexible party packages, one of which is sure to work for your company, your style and any budget. No event is ever too small. We offer a variety of bar and drink options as well as creative hors d’oeuvres, buffet style serving and seated dining entree options. Our elegant and charming venue is also great for private parties, wedding parties, bridal showers, bar and bat mitzvahs and birthday celebrations. If you are interested in more information about our party planning options, feel free to contact us anytime. With the Cathedral close by, Tir Na Nog is an ideal venue for your wedding rehearsal, wedding reception, or post wedding brunch! Against the beautiful backdrop of The Phoenix building, we can host you and your wedding party on your special day. The Atrium is a perfect venue for a reception. The room has wonderful acoustics for live music, lots of space for appetizer stations, and access to the bar at Tir Na Nog until 2am in the morning. We are also located close to the scene of many wedding photo landmarks in Philadelphia such as Love Park, City Hall, and the Art Museum. We also have a range of more private and intimate settings within the bar dining area itself, which are perfect for rehearsals and brunches.